GroupMail version v6.0.0.11 is now available to download from the GroupMail Customers Area. This update includes a major update to our Autoresponder. 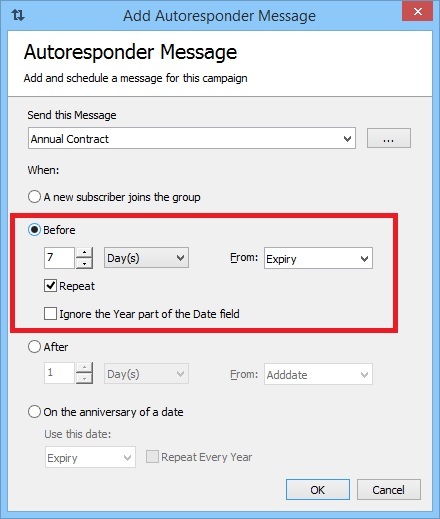 The GroupMail Autoresponder allows you to send a series of emails and schedule them to send in sequence over a period of days, weeks or months. We’ve now included the option to send emails before a specific date, which is ideal if you want to send birthday wishes, renewal notices and much more.